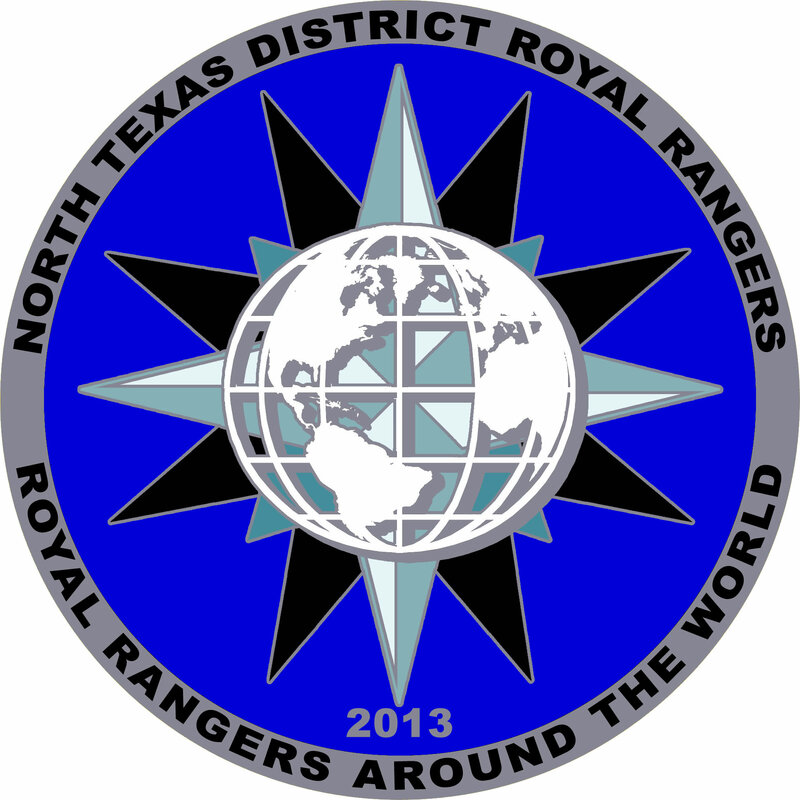 On the obverse (front) side, I used the Royal Rangers International (RRI) logo since the theme for the camp was “Royal Rangers Around the World”. RRI is tasked with helping spread the Royal Rangers ministry into new countries as well as continuing to support the Royal Rangers ministries in existing countries. 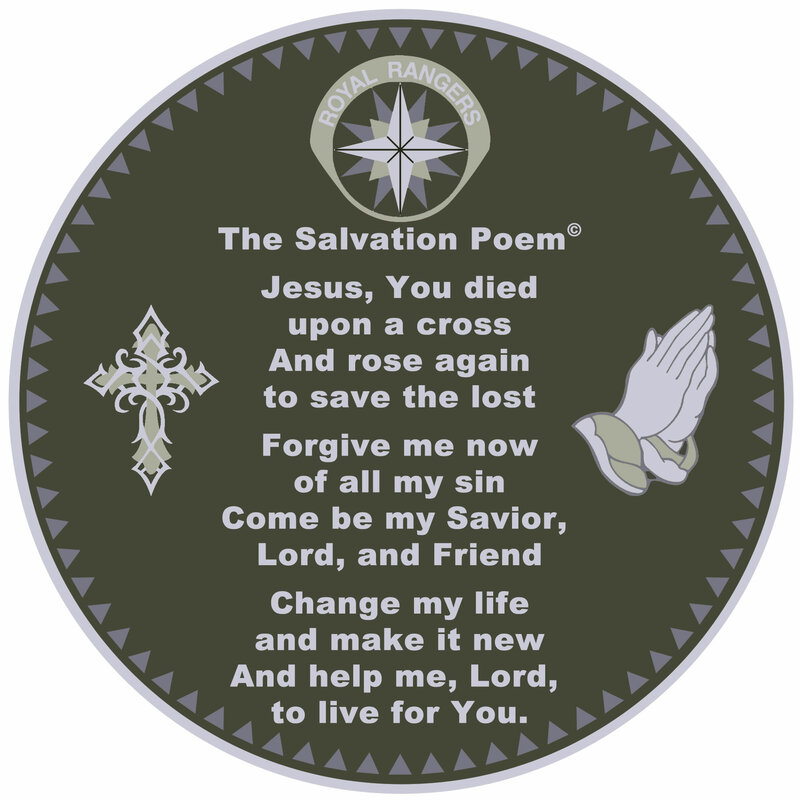 On the reverse (back) side, is The Salvation Poem as well as a cross, praying hands, and the Royal Rangers emblem.